Take The Escapist Dungeons and Dragons Quiz! This week marks the anniversary of Dungeon and Dragons creator Gary Gygax's death. In his honor, we've got a pair of D&D-inspired quizzes for you, written by Archon himself. The man knows Dungeons and Dragons like you know your name, so here's hoping you rolled a really high Wisdom stat. As always, you can take as long as you like for each quiz, and even retry them if you didn't score 100%, but keep in mind your cumulative time will affect your position on our leaderboards. 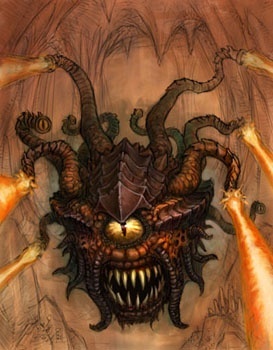 May you behold many wonders (but not a beholder) and roll nothing but natural 20s, adventurers!